Design Hotels: Eccleston Square London - way ahead of his competitors! We really fell in love with this video! What do you think FMKRS? 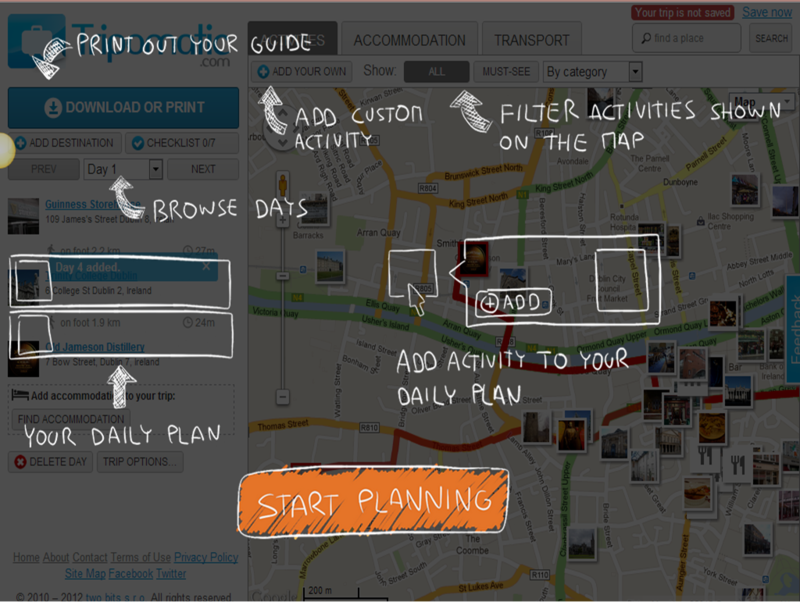 Tripomatic: plan your trip now! Christmas holidays are coming, and if you're planning to go abroad for several days to celebrate, have a look at Tripomatic and/or download their free mobile application! This company, launched mid 2011 and managed by a team based in Czech Republic, enables any traveller to plan his trip so that they don't miss any attractions on their way! "The main function of Tripomatic.com is to allow the planning of a personalised holiday itinerary that can be printed by the user." You can chose pre-built trips (in the suggested trip plans section) or create your own from scratch! Once your trip is definitive, you can save a PDF version, print it and/or share it with your friends on Twitter and Facebook! "The trip planning site by travellers, for travellers"! 3 basic steps to follow: you select your destination, your dates (you can skip it), and the tool already suggests you must-see places related to the chosen destination! A real tutorial to help you planning your best trip ever! Click on it, and start adding and moving stuff around! Have you ever tried it? Feel free to leave your comments! Statistics show that social media influences online travelers in their decision-making process. As a result, "40% of travel companies now rate social media as increasingly important in connecting tourists with their business." Every Independent Hotelier should be aware of the emerging discovery trend among online travelers. Many of them now first discover brands and products on social media, and then make search based on specific keywords on search engines. - After browsing social websites, 52% of travelers made changes to their original plans. - 52% of travelers search social media to find vacation ideas. To finish, the discovery trend can also be justified by the social development of well-known companies like Facebook and Airbnb. Facebook indeed launched a "Want" button, and Airbnb created a "Wishlist", and recently released "neighborhoods" in order to improve the online consumer experience by enhancing the "discovery" process on their platforms. If get annoyed by those friends who have boyfriends/girlfriends and start putting EVERYTHING they do together on the social medias, we have some bad news. 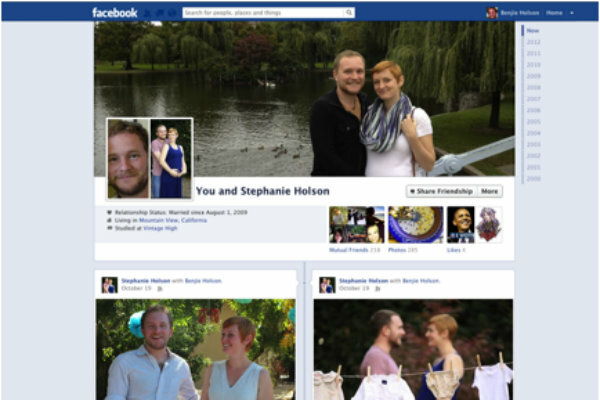 Now Facebook criates automatically a timeline with all the couple's intercations on Facebook - yes, automatically. All cute messages, pictures, links to U2 or Celine Dion videos, friends in common, pages that both like at the same time, events they went together, etc - all couple cuteness is going to be there. To access this, you have to be in a "serious relationship" with your boyfriend/girlfriend. Once this information is in your profile, the couple go to facebook.com/us and all of your online romantic history is going to be there. To share the link (and piss off your friends), just copy and paste the url that is going to appear with the name of the couple in the browser. What do you think about it? Cute? Useless? Leave a comment! Travtar: sell your hotel bookings! Did you book a hotel room, and can't use it because you changed your plans? Here is the solution: Travtar! Luxury hotels have had a history of being innovative when it comes to technology, and that tradition continues to this day. In Thailand the Aloft Bangkok – Sukhumvit 11 is using touchscreen technology from Fingi that is loaded on to Samsung Galaxy smartphones so that guests can control everything from in-room mood lighting to setting up their own WiFi hotspots when out on the move. Hoteliers, how mobile-oriented is your hotel? We are in a "golden -age of television" with all these channels and programs at hand. To profit the most from this opportunity try a second screen application for a greater engagement through social media. Discover our selections for Second Screen Applications! Check what people say about the program you are actually watching. You can see what your friends are watching, and receive recommendations. You can also unlock stickers and rewards for discounts at major entertainment companies. Boxfish builds index to all that has been said on TV channels and it is used as a new layer of discovery for TV channels. It s a live guide for tablets and replaces the ordinary TV guide. Thanks to Boxfish the TV experience has been transformed into a dynamic source of real time information at any platform. Once at Boxfish site, look for something, like type the name OBAMA and you can see on which channel , at what time this topic has been raised. Are you a Justin Bieber fan but is not ready to face the judgements of the world with your collection of pictures? Or maybe do you want lose some weight but thinks lettuce does not go with your board of Chocolate Chip Cookies recipes? Now you have a solution. 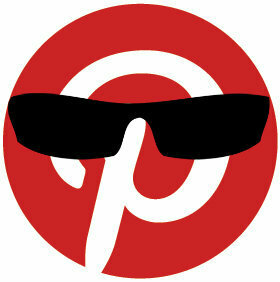 Last week Pinterest launched the Secret Boards. On them, nobody else will be able to see what you pin unless you enable them. Really easy to set, you just have to put "ON" on the Secret Option on a new board. For the moment, each user is going to be able to create 3 secret boards. It may be not enough for all your internet sins, but its a start. Everybody already had the same (almost obvious but useful) ideas for secret board. Wedding planning, surprise party ideas, strange obsessions - enter Justin Bieber - , journal or gift ideas. - If your company is putting together results for a contest, a photo contest for example, you can create a secret board with the finalists and only open on the D Day. - You can curate good ideas for THAT meeting you'll be able to impress your boss. - For any special event or date, you can leave the board secretly ready for lauch day. - You can spend more time building a board and present it already full of pins, instead of adding pind gradually. For more info, Pinterest explains step by step everything you need to know about Secret Boards here. is preparing to bypass Instagram. It will update the mobile application in order to filter photos similar to Instagram's. Photos filtered on Instagram look like as if they were shot by a camera of the '60s. Twitter's mobile filter seems vital since the public uses Instagram to take pictures and then shares them on Twitter. But the changes do not stop here. The company is working on to add further tools to its mobile application such as the ability to upload and edit videos without having to go through third party applications, services like Youtube. And the name? Unfortunately nothing to do with the bird! US Elections: what about a Twitter map?